Further to previous post, let us read about mapping VC-12 into TU-12, TU-12 to TUG-2, TUG-2 to TUG-3 & TUG-3 to VC4. In order to detect the start of the 2 Mbit/s signal and thereby the start of the customers data, The V5 byte must be seen be the distant end. This is achieved by adding four overhead bytes to the multiframe, which together form a calculated byte count to the start of V5. 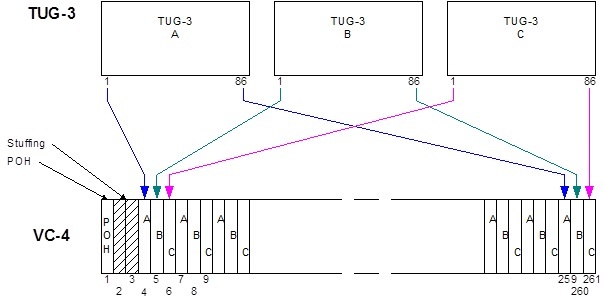 This is called a pointer value and is known as the TU Pointer. There are four pointer bytes called V1, V2, V3 and V4, which are used to calculate the location of V5. 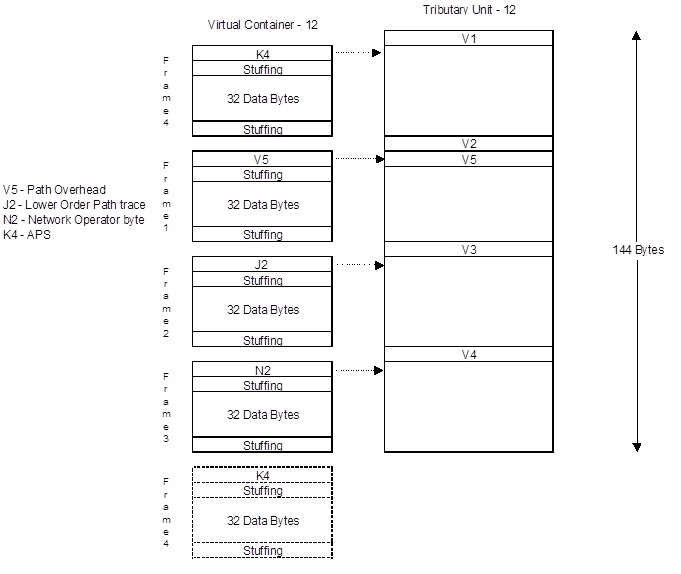 Each VC-12 consists of 36 bytes of information and these 36 bytes fill up exactly 4 columns of the STM-1 frame. 3 separate TU-12's are directly mapped together to form a TUG-2. 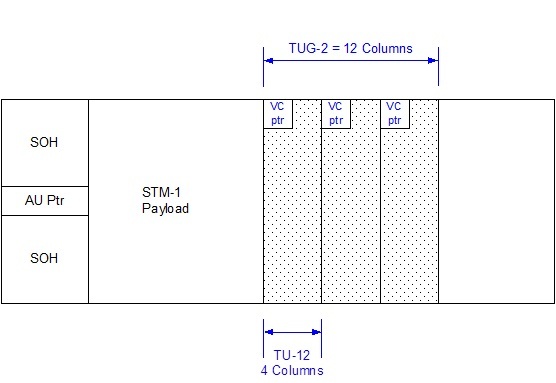 The 3 TU-12's will fit exactly into 12 columns of the STM-1 frame . 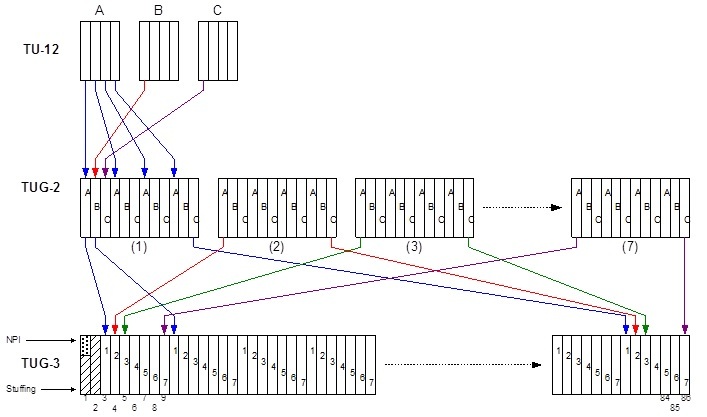 The mapping of TUG-2's into TUG-3's uses fixed column interleaving and is shown below. The three TUG-3's are column interleaved to form the VC-4 payload. At this point two columns of fixed stuffing are added and the 'VC-4 Path Overhead' is added to the start. If you have any questions, you can add them in comments section. I will provide you the answer.